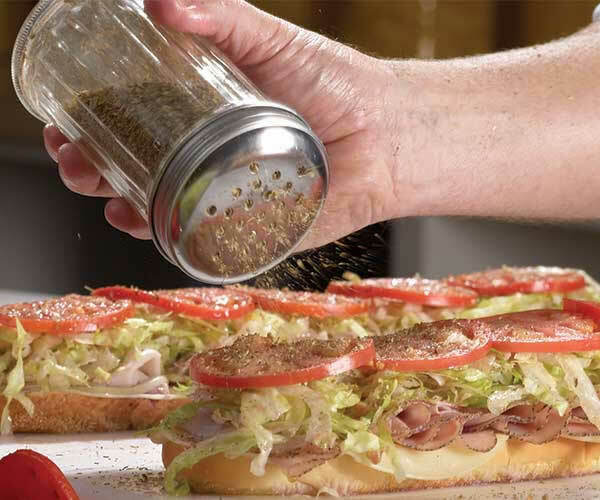 The authentic sub sandwich, served Mike’s Way with onions, lettuce, tomatoes, olive oil blend, red wine vinegar and spices, is what differentiates Jersey Mike’s from the others. Authentic means fresh sliced, premium quality meat and cheese. It means bread baked fresh daily in our stores. It means that every morning we hand slice only the freshest onions, lettuce and tomatoes to top our subs. It means Certified Angus Roast Beef trimmed tied and cooked in our stores. Our 99% fat free turkey is whole muscle meat with no fillers. Our tuna is made fresh in the store. Our cheese steaks are fresh grilled while you wait along with onions and peppers for that authentic Philly taste. Why do we insist on making our sub sandwiches the same way we’ve been making them since 1956? Because we refuse to compromise on quality or freshness. Our commitment to quality, freshness and authenticity has helped us win Best Sub and Best Sandwich Awards in virtually every market we serve. It will help you by bringing back customers again and again to satisfy their craving for authenticity. The quality of our product creates a passionate, loyal customer base with solid repeat business. The operation is clean and easy, requiring little equipment investment and very manageable staff sizes. Our comfortable store interiors, fresh product prepared in front of you and friendly banter between customers and crew make this simple concept exciting and vibrant. Our limited menu offerings add to the simplicity of our model, and also strengthen our brand by focusing on what we do best: making fresh, delicious, authentic sub sandwiches. Our training program requires three times the hands-on experience than many franchise systems. Our training program requires 8-10 weeks of classroom training and in-store experience immediately sets the bar high for operational excellence. Ongoing Back to Basics training, Train the Trainer programs and others crew excellence initiatives help keep the bar high. Our philosophy is simple: more thorough and robust training program, which concentrates on the entire business operation not just product production, makes our stores better prepared to manage their business. Well trained owners and managers operate better stores and help us protect the Jersey Mike’s brand. We’ll be the first to tell you, owning a Jersey Mike’s isn’t for everyone. But we do think it is an amazing opportunity for the right individuals. The restaurant business has its own set of challenges. Dealing with the public, serving food, handling peak traffic times and being a welcoming host can be exciting and enjoyable to some while harrowing and arduous to others. That’s why we want only the right candidates to help us grow our brand. It all happens on the store level at Jersey Mike’s, and our experience tells us that the right operator is absolutely imperative to running a successful and profitable business. 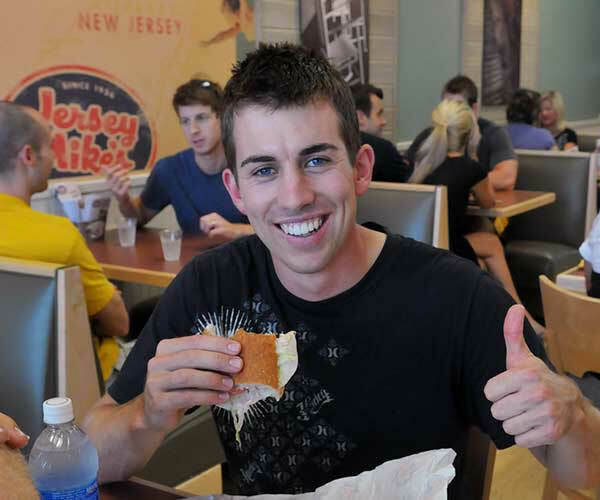 Do you have what it takes to be a Jersey Mike’s franchisee? 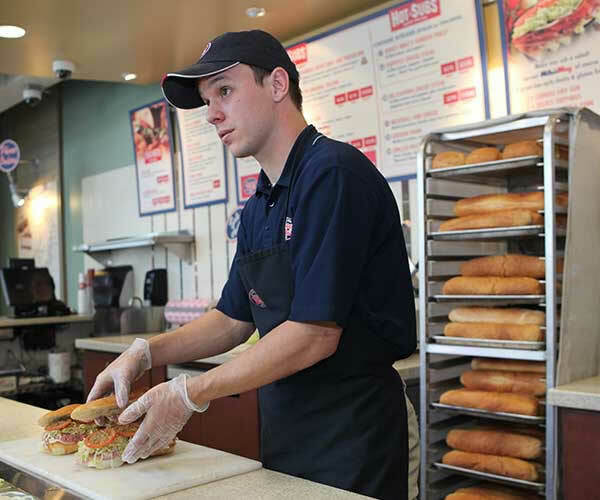 Who Is The Ideal Jersey Mike’s Operator? Is it an experienced restaurateur? An ex-Fortune 500 executive? Someone who has already been successful with another fast casual or QSR concept? How about a former customer or employee? The answer is “yes” to all of the above. Our franchisees are a diverse group of individuals with something in common: they have embraced the opportunity of owning a Jersey Mike’s and serving our delicious, fresh sub sandwiches. Many of our successful franchisees have some other traits in common. They are passionate about the Jersey Mike’s concept, care about their local community and recognize the value of a proven system. They are confident, competitive, outgoing and have a positive attitude about business and life. Most of our owners have restaurant experience, but certainly not all. These less tangible traits are critical to our success. Jersey Mike’s is currently accepting inquiries from the following states: Alabama, Alaska, Arizona, Arkansas, California, Colorado, Connecticut, Delaware, Florida, Georgia, Hawaii, Idaho, Illinois, Indiana, Iowa, Kansas, Kentucky, Louisiana, Maine, Maryland, Massachusetts, Michigan, Minnesota, Mississippi, Missouri, Montana, Nebraska, Nevada, New Hampshire, New Jersey, New Mexico, New York, North Carolina, North Dakota, Ohio, Oklahoma, Oregon, Pennsylvania, Rhode Island, South Carolina, South Dakota, Tennessee, Texas, Utah, Vermont, Virginia, Washington, Washington, D.C., West Virginia, Wisconsin, Wyoming. @Daboswife2001 Since each of our stores are individually owned and operated we recommend reaching out to your local store regarding this. @needmorecows You never know where we will show up next! @marlenka_ You can check out our Merch here: https://t.co/SW1PBReaxB!